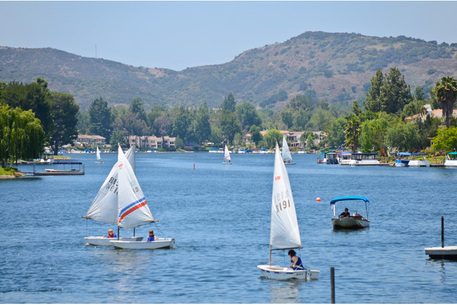 Westlake Village became the 82nd City in the County of Los Angeles as a result of an overwhelming vote on December 11, 1981. Westlake Village is a unique, master-planned community, located in Los Angeles County and bordering the City of Thousand Oaks and Ventura County to the east. Development of the lakeside community began in 1966 by the American Hawaiian Steamship Company. With a total land area of 5.62 square miles, the community supports a population of 8,825. Within the City limits are approximately 850 commercial and light industrial business firms. The City encompasses twenty individual neighborhoods, with active homeowners’ associations to promote and maintain high quality architectural standards. An array of housing types match virtually every lifestyle, including: townhomes, condominiums, mobile homes, single-family and lakefront residences, and view-oriented estates.